History seems to collide with the present and manifest itself physically in this novel. “Mountain Spirits” and even an occasional ghost also glide through the pages. Olga Slavnikova’s Russia of 2017 is an ugly consumer-driven society far removed from the dream of a proletarian utopia that sparked a revolution 100 years earlier. In 2017 everything is a commodity, even death—funerals are as much a lifestyle statement as the clothes people wear, the cars they drive, or the mobile phones they use. The fictional Riphean region, which seems to be vaguely located east of the Urals in the Asian part of Russia, still contains vast wildernesses, but even these are suffering under the impact of human exploitation. Rivers are polluted and forests are dying, while in the cities a rich elite flourishes as a disenfranchised underclass is kept subdued on a diet of trashy television. Krylov is a talented gem cutter whose mentor, Professor Anfilogov, sets off to a remote river in the Riphean Mountains in search of valuable stones. The illegal plundering, cutting, and sale of these rare gems for human adornment is symbolic of humanity’s exploitation of its environment in the name of shallow consumerism, sacrificing the very soul of the Riphean mountains for the sake of vanity. As Krylov sees off the professor on his expedition he meets a woman at the train station and they begin an affair, conducted at a series of random locations chosen by sticking a pin into a street map. Neither Krylov or his lover know each others’ true name or where one another lives and they thrive on the precariousness of their relationship and the disastrous possibility that if one of them misses an assignation they might never see each other again. An omnipresent private detective spying on them and Krylov’s ex-wife complicate the relationship in a series of set pieces that combine surrealism and farce. The characters and scenarios are more Borges than Dostoevsky, the plot dipping into the realms of science fiction. A scene in which White Guards and revolutionary Red soldiers appear to be playing out episodes from the 1917 October Revolution turns violent and the line between reenactment and actual historic events echoing from the past into the modern day becomes blurred. “The virus of History, which you’d think had been suppressed long ago and barely existed anymore, was spreading freely,” writes Slavnikov. 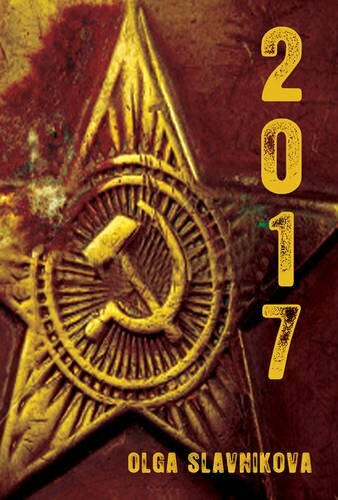 This Russian Booker Prize-winning novel, translated by Marian Schwartz, sets out to deliberately disorient as reality and the ethereal, past and future, conscious and unconscious intersect, leaving the reader scrambling to find his bearings in Slavnikov’s dystopian premonition of Russia in the near future. It is an unsettling but satisfying experience.